If there’s something we love more than skin care (believe us, there are very few things that top the list), it’s food. We’re willing to admit that yes, you should eat to live, but mindful eating allows you to live to eat. Yes, we can have it all: we can be happy and healthy and have beautiful skin! 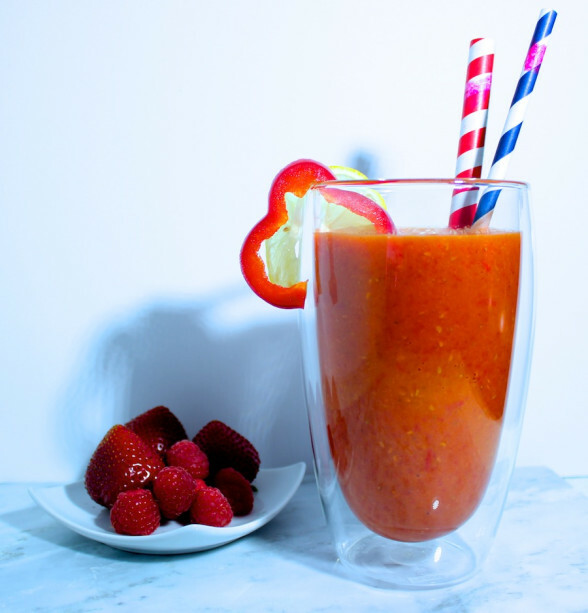 Practically bursting with powerful antioxidants and vitamins, this smoothie has surely earned its name. It’s packed with red fruits and veggies, all of which are full of Vitamin A and C to help boost your immune system, fight disease, and give your skin a healthy lit-from-within glow. We’re all about starting every day with our best face forward – and this is just the way to do it. 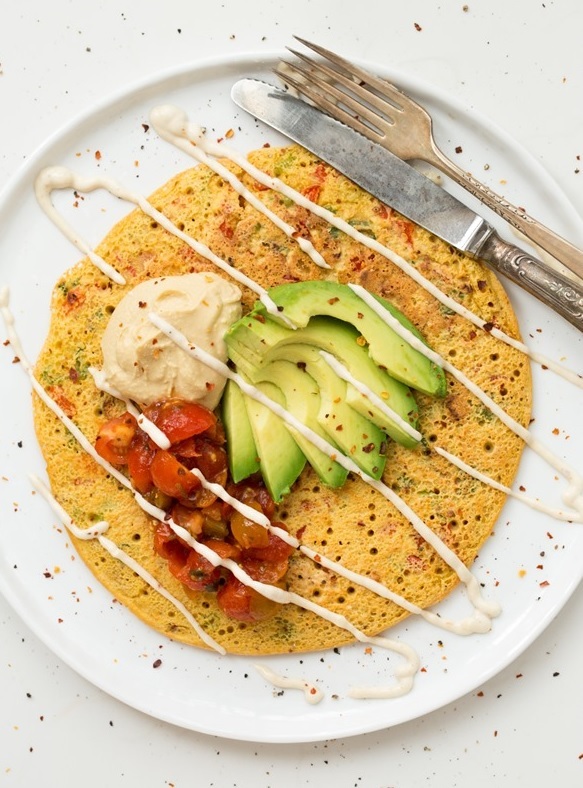 High-protein and vegan, this recipe makes for a super filling breakfast (we all have those days that call for a power breakfast) or satisfying lunch. Best of all (aside from the deliciousness and undeniable health benefits), it’s quick and easy to whip up: it only takes 10 minutes to make, and even less time to eat. The savory chickpea base is packed with protein and fiber, and tastes incredible with any topping you love. 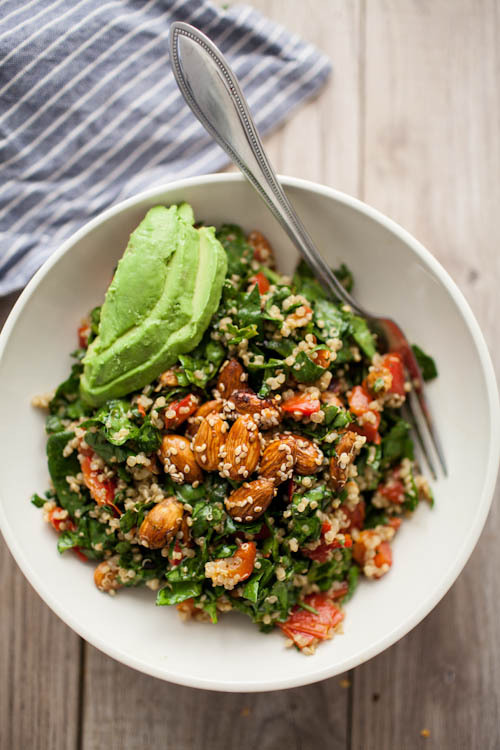 We’re a fan of eating ours with avocado (to help encourage a smoother, more radiant complexion), red peppers and tomatoes (for antioxidants), and a spoonful of hummus for extra flavor. 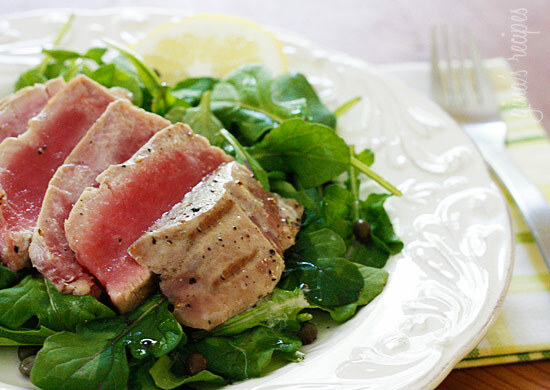 Though (unfortunately) often overlooked, tuna is a rich source of the omega-3 fatty acids necessary for helping keep the skin looking youthful. Top it over fresh arugula for a serving of rich antioxidants, minerals, and vitamins that all lend to skin-brightening, anti-aging benefits. With fall fast just starting we can’t help but turn to warm spices and comfort food favorites. 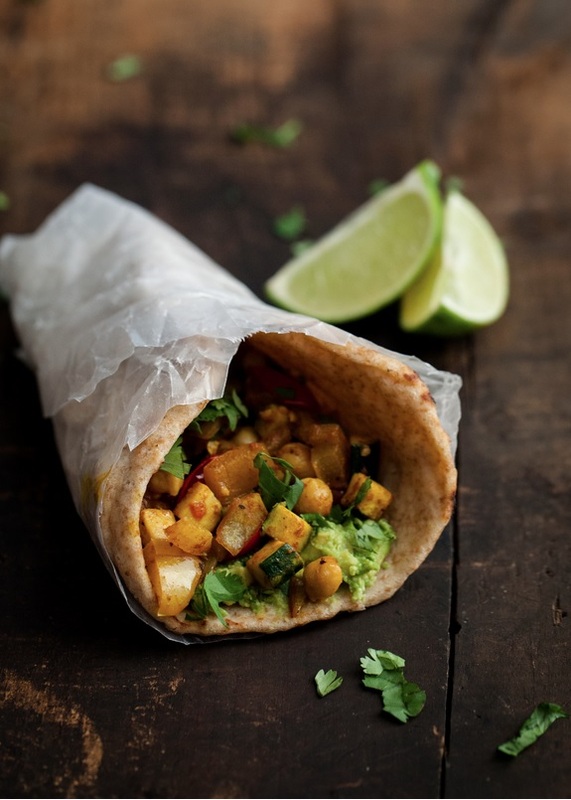 There’s nothing like curried vegetables – but in a naan wrap and paired with creamy avocados? It’s deliciously good for you. Avocados are a favorite for those healthy fats that keep skin glowing, smooth, and youthful-looking. All those veggies – red pepper, cherry tomatoes, zucchini, red onion – tossed in olive oil make for a fiesta of Vitamin A and C-rich serving of antioxidants. This recipe is a staple in our kitchen, making an appearance at least a few times every week. It’s not because it’s good (it’s actually great) – it’s because it’s a powerhouse of anti-aging and antioxidant benefits. You’ve got Vitamin A and C, copper, and omega-3 fatty acids all in one meal, all of which contribute to enhancing collagen stores, reducing inflammation (for clearer, wrinkle-free skin), and encouraging a brighter, more youthful-looking complexion. You know we love our radiant-boosting avocado. 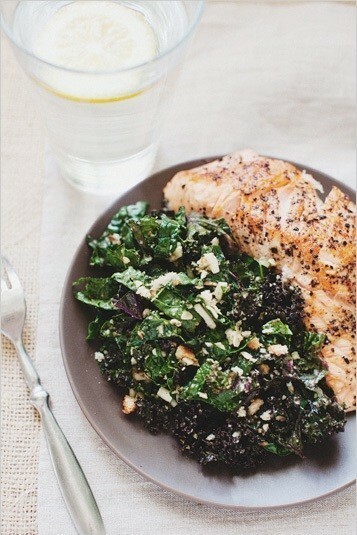 But seriously – if you’re in the mood for a light yet filling meal to end the day, this is it. Packed with Vitamin C, E, K, and beta carotene, this colorful salad boasts all the antioxidant vitamins and minerals needed for a wrinkle-fighting, skin-smoothing boost.